Larry Downing/ReutersU.S. 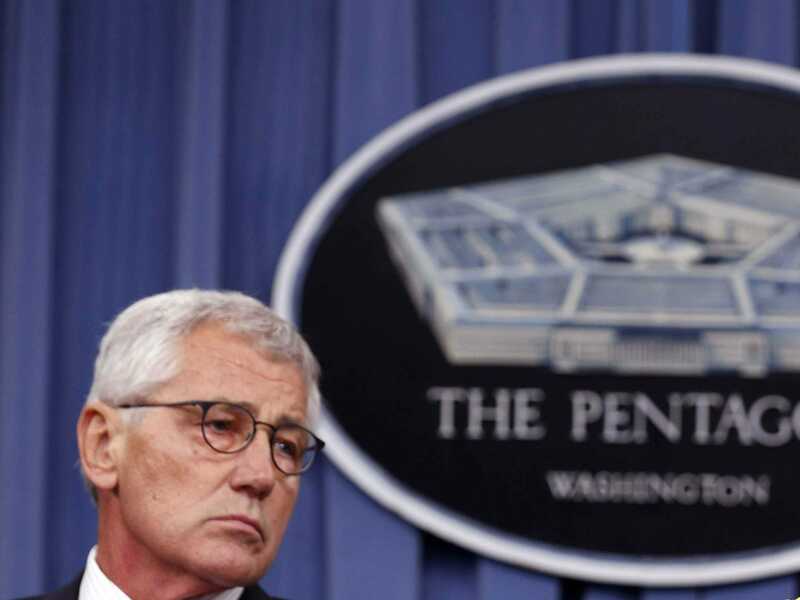 Secretary of Defence Chuck Hagel (L) listens to Chairman of the Joint Chiefs of Staff Gen. Martin Dempsey in a press briefing at the Pentagon in Washington, September 26, 2014. Chuck Hagel’s tenure as Secretary of Defence began inauspiciously, with a nomination battle that ended with only 58 members of the Senate voting to confirm their former colleague. And it’s ending well before Barack Obama’s second term as president is up, with the dovish former Nebraska senator and decorated Vietnam veteran announcing his resignation on November 24. Michelle Flournoy: One of the leaders of Obama’s transition team at the Department of Defence, Flournoy was an under-secretary of defence from 2009 to 2012, during Robert Gates’ widely praised leadership at the Pentagon. She was was involved in implementing the surge in Afghanistan and is “widely seen as an advocate for the counterinsurgency approach,” former Navy intelligence officer Robert Caruso told Business Insider. Flournoy is also the co-founder of the Center for a New American Security, a Washington think-tank that became a Defence Department-in-waiting for Democratic-aligned natural security hands during the second Bush administration. CNAS is now viewed as an ideas factory — if not an adjunct — for the Obama-era Pentagon. Ashton Carter: The theoretical physicist and Clinton-era appointee was the Pentagon’s second-in-command under Hagel, responsible for “the day-to-day management of its 2.2 million employees,” according to the Washington Post. Carter resigned from this position in October of 2013, amid rumours that he was uneasy with being passed up for the Pentagon’s top job ten months earlier. But he made his time at Hagel’s top deputy count, pushing cyber defence as a national security priority and helping to set up US Cyber Command. 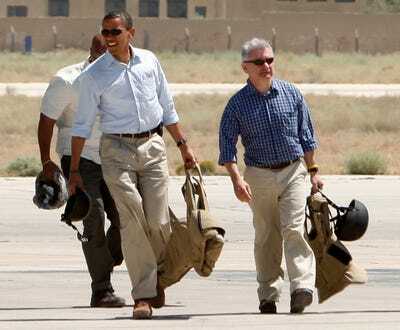 ReutersUS Democratic presidential candidate Senator Barack Obama (D-IL) (L) walks with Senator Jack Reed (D-RI) after stepping off an aircraft at Marka Airport in Amman, Jordan, on July 22, 2008. Jack Reed: The Rhode Island democratic senator is a former Army officer and one of only 23 senators to vote against authorizing the use of force in Iraq in 2002. He is a longtime member of the Armed Services Committee and enjoys close relations with top military brass: “Reed is respected by Central Command officials especially and military officials generally,” says Caruso. As analyst Joshua Foust put it on Twitter, Hicks is “deeply experienced” and lacks Flournoy’s close association with counter-insurgency doctrine — a policy and intellectual movement now discredited in certain circles after its mixed record of success in Iraq and Afghanistan.